Comments: Gordon Walker (Nee: ) | Stuart OK United States | 1921-1940 | Comments: I'm 98% certain this was taken at Stuart, Oklahoma. There is a possibility it could be another school in Oklahoma ... possibly Nowata. 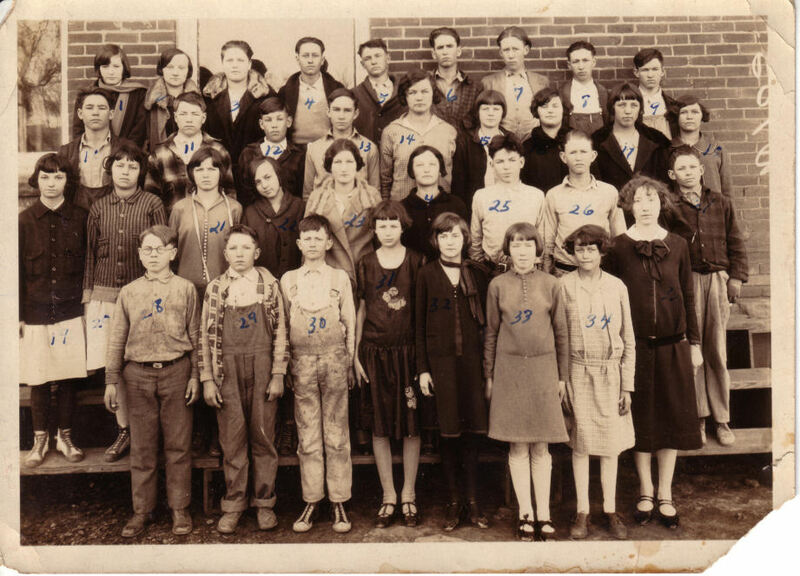 The teacher (front row far right) was my 2nd great aunt, and was quite young herself when this was taken.